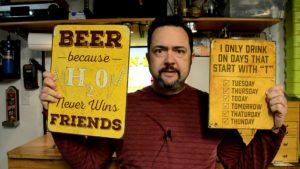 Welcome to the Beer Sign Giveaway! 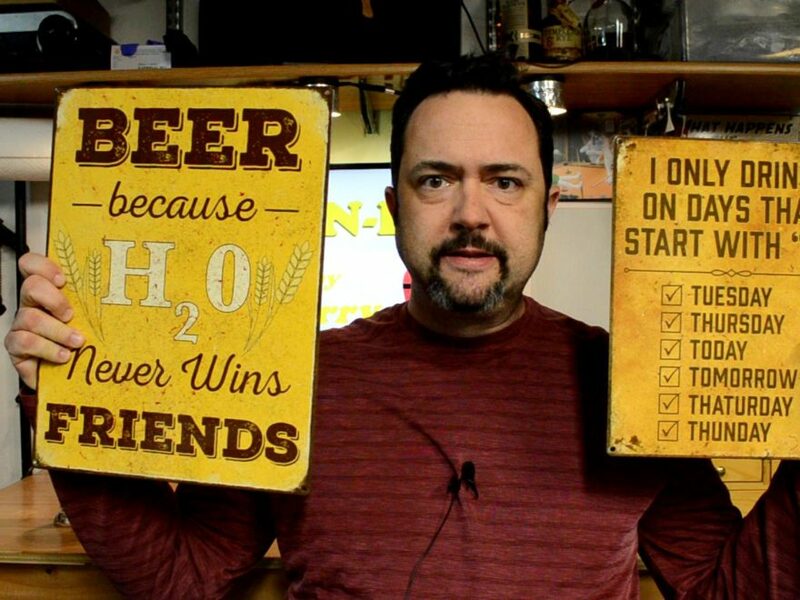 Check out the My Beer Cozy Signs available to choose from. Don’t cry over spilled beer would be an awesome addition to the brew cave Larry! Anyone else having an issue with the giveaway? I know it just started but it says 0 “your entries” when I follow Larry on FB, on Twitter, on YouTube and I’ve been to his Google+. Don’t wanna miss out on the chance to win… I’ll try again later or tomorrow! I saw this happen to me when clicking the link via the YouTube app on a mobile device. Try it in a web browser. Got it to work. Thanks, Larry! Ree here, owner of My Beer Cozy! Thank you so much for taking the time to do a giveaway of one of our signs with your viewers/readers. I didn’t realize that you had never done a giveaway before so I apologize for putting you through all the effort to learn about them and set them up. I hope it’s worth the trouble. Anyway, thanks again and I can’t wait to see who the winner is and which sign they select…they can choose from any of the signs we sell on our website.